Planning your own funeral is not something that you may like to think about. In fact, we're fairly confident that, if left to your own devices, you might just choose to avoid it altogether. But we all now that the reality of this avoidance does nothing to help or protect your family members on that very difficult day. When you do the right thing and decide to pre plan your funeral, you can do it at your own pace, when you feel calm, healthy, and rational. We promise we have made every effort to make our facility comfortable while providing families a respectful, especially dignified place in which to commemorate the lift of a loved one. Our staff is available to help you throughout the funeral planning process. Every staff member at Geisel was professional, courteous, and compassionate. From beginning to end, the staff members were helpful and respectful to our family during our difficult time. We are truly appreciative for all that the Geisel staff has done for our family. A special thanks to Sharon who helped us in planning the services. She offered us the support we needed and was tremendously compassionate. She's definitely an asset to this establishment. 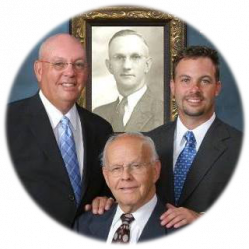 We had the privilege of working with Geisel Funeral Home for both of my husband's parents services. It is such a difficult time and you don't really think about needing this service....until you do. The professionals at Geisel are amazing and caring people who kindly usher you through the process of honoring your loved one. We highly recommend their services. We worked with Adam, Sharon and several others...all who are so competent and respectful. We are also so thankful that his parents had their arrangements made several years ago. What a gift it was to their children to eliminate additional stress, trying to make decisions under the worst circumstances. I would encourage everyone to give this gift to their loves ones.